Taking a closer look at the largest and most technical version of the sporty-chic Polaris. 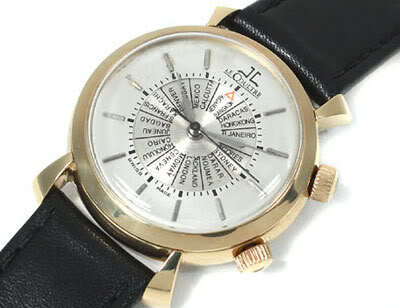 A welcome addition to the collection, the Polaris is Jaeger-LeCoultre’s vision of an elegant sports watch. 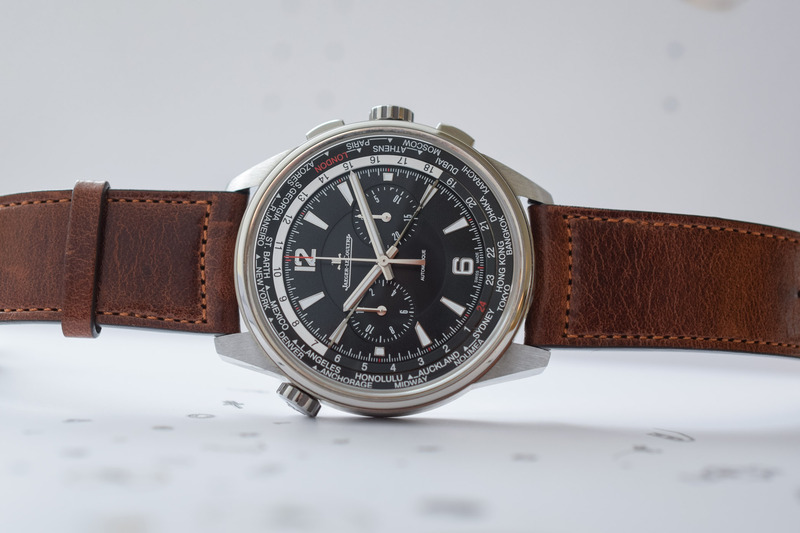 The collection was launched at the SIHH 2018, 50 years after the original and iconic Polaris Memovox – read our introductory article here. 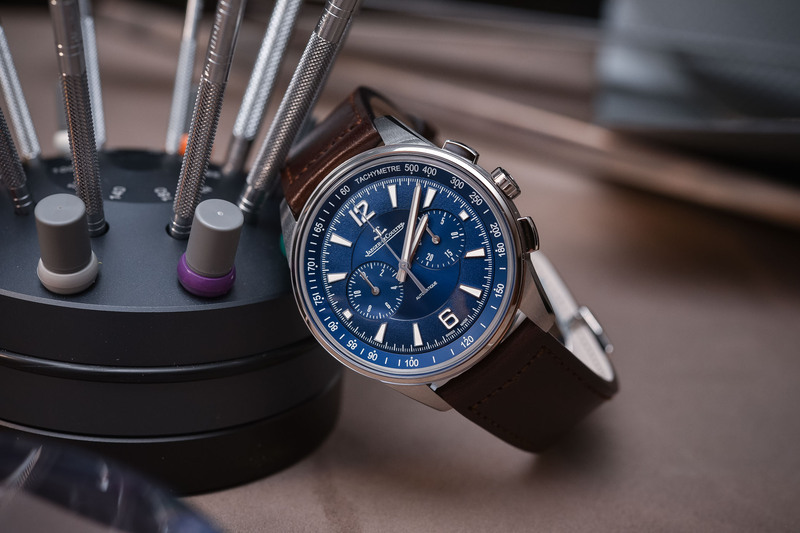 Among a full range of timepieces, the Chronograph WT is the largest and the most technical version, offering travellers a practical world time function. 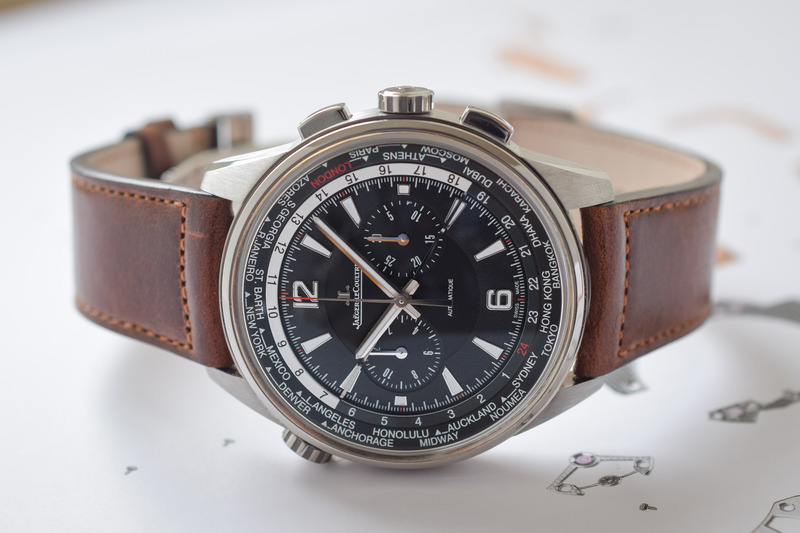 Today we take a close look at this version that combines a column-wheel chronograph and a traveller’s complication. 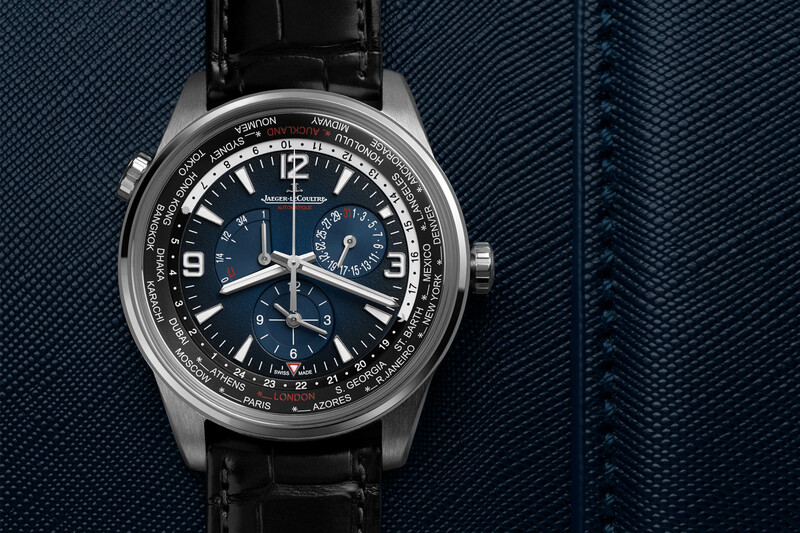 On this Jaeger-LeCoultre Polaris Chronograph WT, at the periphery of the twin-register chronograph, a ring displays 24 cities representing 24 times zones and allows you to read the time simultaneously in any area. For cities switching between standard and daylight-saving time according to seasons, a white triangle highlights this one-hour difference. 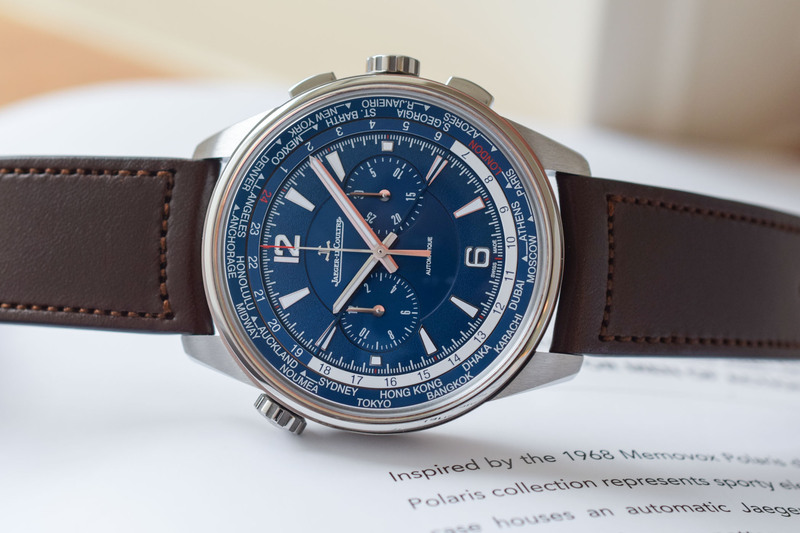 At 44mm in diameter, the Chronograph WT is the largest of all the Polaris models. It comes in lightweight titanium offering substantial wearing comfort given the dimensions of the watch. The case is nicely finished with mostly brushed surfaces. The short, faceted, sloping lugs provide a snug fit on the wrist. Water-resistance is of 100 metres. The chronograph pushers are rectangular for better visual integration with the rest of the case. At 10 o’clock, the second crown is crisp to operate and allows you to easily adjust the city disc by increments of one time zone. 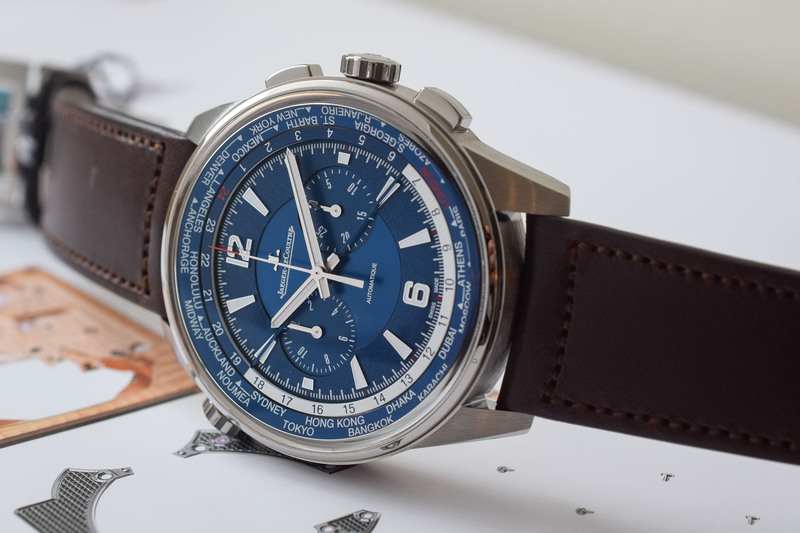 Blue and black dials are available on the Jaeger-LeCoultre Polaris Chronograph WT. These features three different finishes – sunray, graining and opaline – which add a lot of visual depth. The tip of the chronograph seconds hand, the 24h indication on the hour ring, and London on the city ring are highlighted in red. As with all world time watches, there is a lot going on but the high contrast dial enhances legibility. And the baton-style hands and hour markers feature luminescent material for visibility in low light. 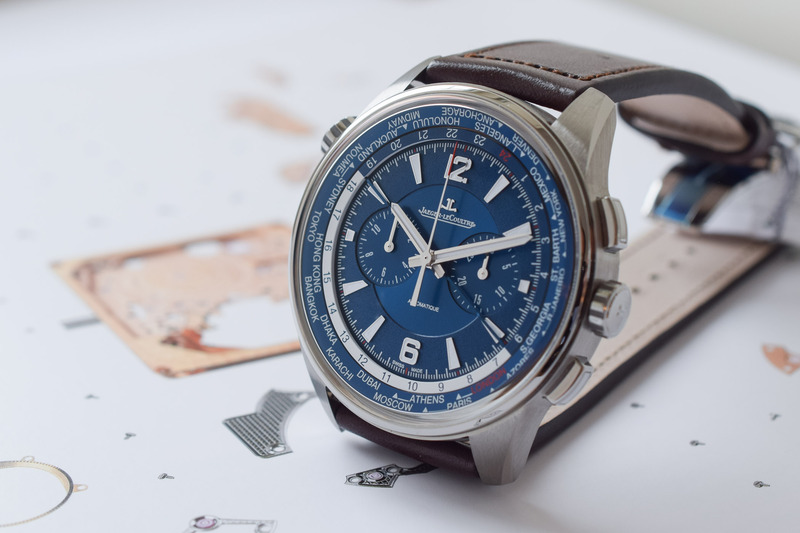 The Jaeger-LeCoultre Polaris chronograph World Time is powered by the automatic calibre JLC 752A. It is based on the calibre JLC 751, an in-house, integrated chronograph, with the addition of the world time functionality. This twin-barrel movement can store up to 65 hours of power reserve. 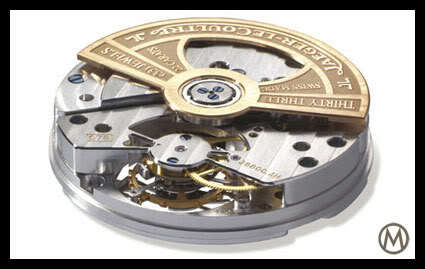 The chronograph mechanism features a column-wheel and a vertical clutch. 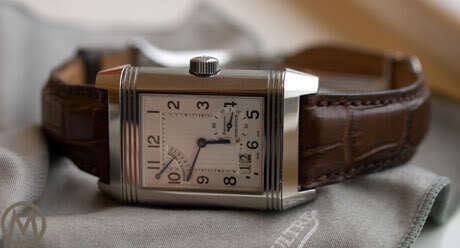 Comprising 274 parts, it is decorated with Geneva stripes and blued screws. 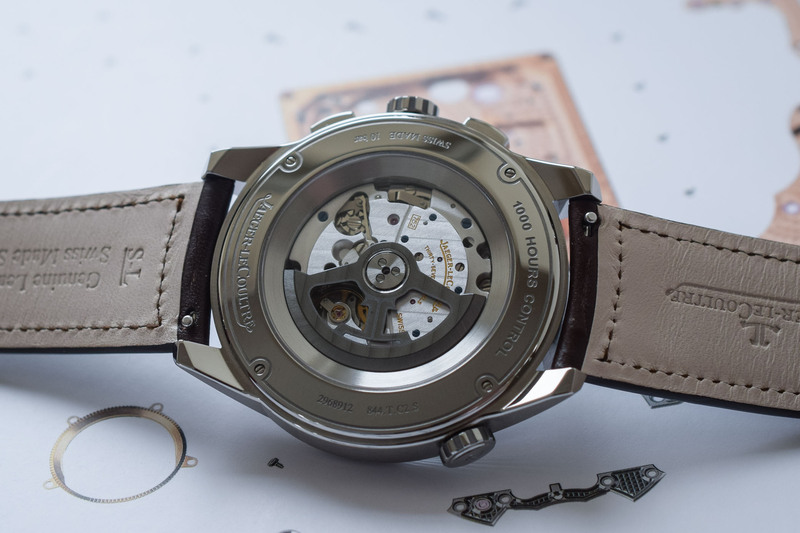 The darkened rotor is openworked to create the brand’s logo. There is an array of strap/bracelet options. These feature quick-release spring bars allowing you to change the strap in seconds. The double-folding clasp can also be swapped easily. After spending some hands-on time with the semi-gloss calf leather straps, the fit was really comfortable despite the rather large diameter of the watch. 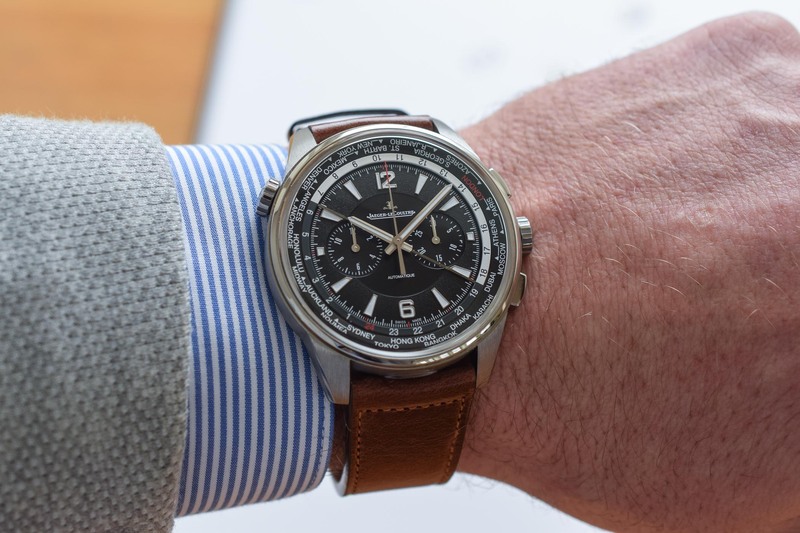 The Jaeger-Lecoultre Polaris Chronograph WT is a handsome, technical traveller’s watch and Jaeger-LeCoultre did a great job from a functional standpoint. 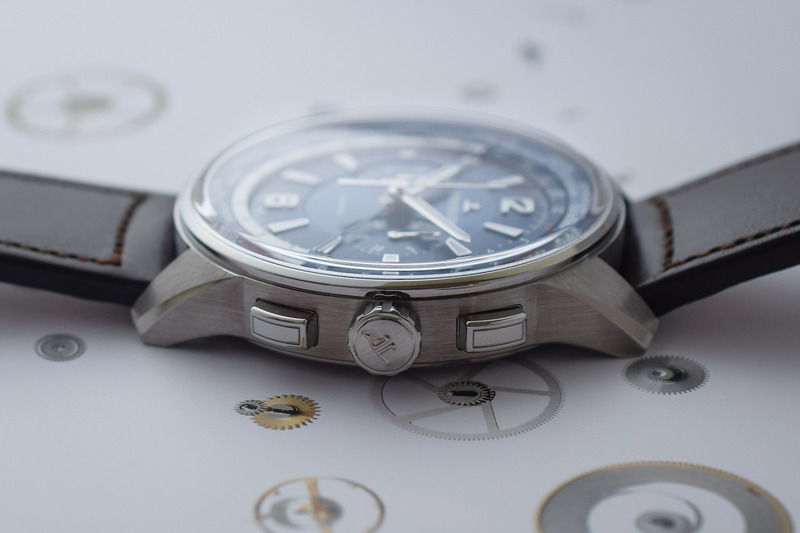 The world time and chronograph functions are crisp and user-friendly. The wearing comfort is excellent for a 44mm watch with such a presence on the wrist. The reasonable height, at “only” 12.5mm, makes this watch even more pleasant. Last but not least, the 1,000-hour Control guarantees the quality and precision of this timepiece. 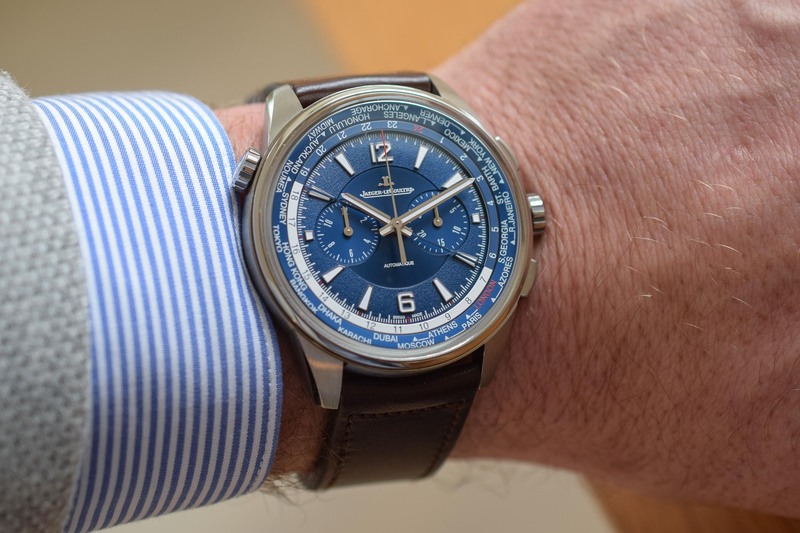 Price for the Jaeger-LeCoultre Polaris Chronograph WT starts at EUR 14,400 – substantial indeed, but there’s a lot going on here, visually and technically.